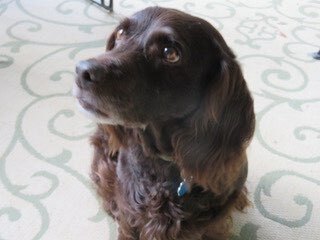 Spiker's Amazing Story - Boykin Spaniel Rescue, Inc.
We decided to go rescue vs. puppy 2 years ago when we turned 70. We were familiar with BSR since several friends go to SEWE and bring me back caps, etc. We completed our adoption application and were approved in early 2016. 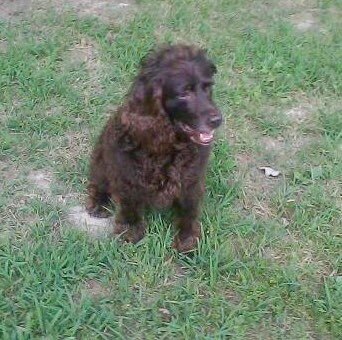 We applied for 'Terrence" who was being fostered by Karen Holt in eastern Maryland. "Terrence" had come from a shelter and had just had surgery for some benign masses on his back, and had to re-learn how to be a family dog. The trip to Karen's took 4 volunteers on tag team. 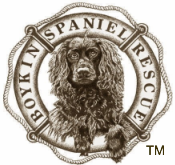 All of this made us grateful for how BSR takes care of Boykins, which we have had for many years. 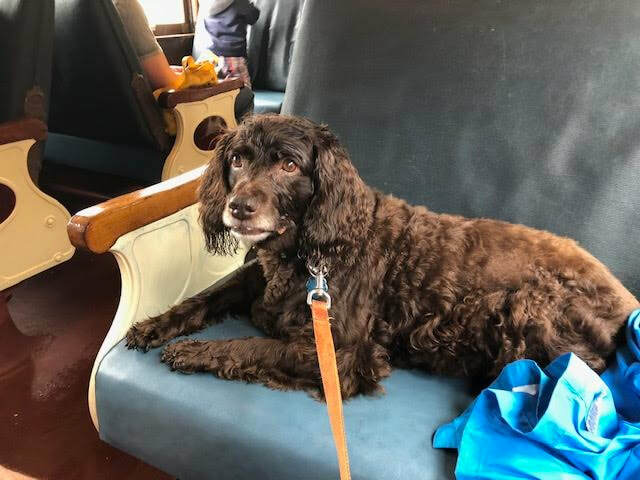 We spend August in Maine, where I grew up, so arranged with Karen to pick him up en route to our place there. Karen probably chose us for "Terrance" over others because we are retired and have a large fenced yard, so could keep him contained and be with him all the time. We renamed him Spike, so he's now SpikeR (the R is for our last name), and when we got home, the dog bonded with me in only 2 weeks. He had some blood issues and stayed with the vet for a few days. He took about a year to get back to his optimum weight and looks to me for direction at every turn. He has become very affectionate and accepts my wife also. He is a wanderer, looks longingly between the pickets, so figure that trait got him lost. 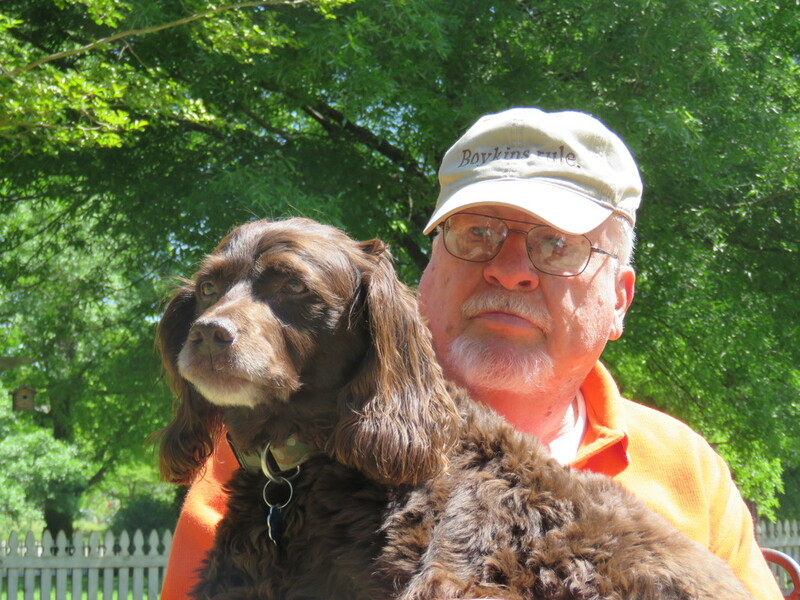 What a great dog!!! !.